Good question–and one a writer/blogger friend asked of other bloggers. She invited us each to write a post on own own blog about how we started blogging, sildenafil information pills and then share our posts on her blog. So here’s my story . . . Writers today “must write a blog,” the experts say–especially if they have published or want to publish books. I agree that advice makes sense in this Internet Age, but I put off starting a blog for a variety of reasons: too busy, nothing to say, too public, too blah, blah, blah… And so the years passed. Good question—and one a writer/blogger friend asked of other bloggers. She invited us each to write a post on own own blog about how we started blogging, capsule and then share our posts on her blog. So here’s my story . . . Writers today “must write a blog, ambulance ” the experts say—especially if they have published or want to publish books. I agree that advice makes sense in this Internet Age, but I put off starting a blog for a variety of reasons: too busy, nothing to say, too public, too blah, blah, blah… And so the years passed. 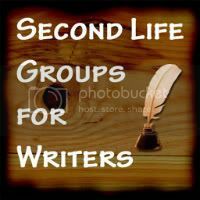 If you’re a writer of any kind or genre—fiction, site poetry, hair journalism, medications creative nonfiction, etc.—you’ll be happy to hear about the many potential markets for your work in Second Life —way too many to list in a single article, in fact! For a writer, patient books are as important as oxygen, this site so why spend time in a virtual world where I can’t pick up a good book, viagra 100mg flip its pages, lie on the beach reading? Those were some of my thoughts as I stumbled through the first few days as a Second Life newbie. Right away, I got it that writing workshops and open-mic readings are possible. But without books, this 3D universe couldn’t have much else to offer a writer. Was I ever wrong!! Oh me of little faith! 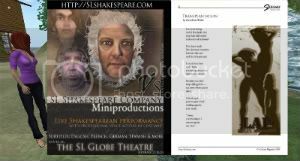 The creative souls that inhabit the metaverse solved that problem long ago by inventing a “printing press” that generates books and magazines (including literary journals) of all sorts. 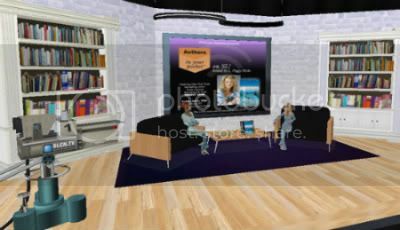 Not only can you read a book in Second Life, you can submit a manuscript for publication by an inworld press or publish your own book of poetry, short stories, a novel, nonfiction, etc., etc. 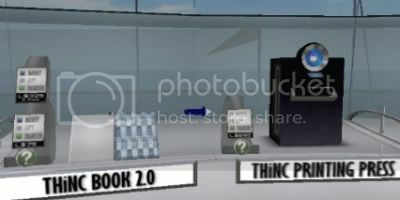 In future posts, I will talk about the many publishing opportunities for writers in Second Life, but today I want to talk about this incredible object—the virtual book! My first surprise (relevant to this topic, anyway!) was how many libraries are located in Second Life. Then I began to discover books all over SL. But gimme a break: how do you read a book that’s the size of one of your desktop icons? (Even for readers a lot younger than me, it would be darn near impossible.) I went searching for the answer, knowing there must be one, given the sheer number of books in SL. 1. Virtual books can be gorgeous. Let me restate that: they’re absolutely, awesomely beautiful! No restrictions on full-color images or inside design elements! But in your SL inventory, they are just another little yellow cube like any other SL object. So for a while, I didn’t bother to check them out. 2. While books may look like any ol’ object, they don’t rez like ’em at all!! 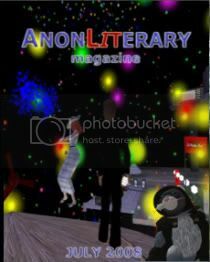 I so wanted to read AnonLiterary Magazine, which I’d discovered, but my first tries were fruitless. Drag box out of inventory. Unpack box that shows up on the ground. Copy contents of box to inventory. Except, when I then looked at the parts and pieces in my inventory, I had a bunch of one-line messages, a totally geek-looking programming script, and no journal!! 3. 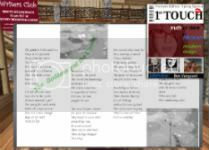 Virtual books don’t “unpack”: they “rez” whole and intact. But I wandered for quite some time not knowing that. I’d see all these books I wanted to read, but couldn’t find the magic words, the abracadabra that would open them. Until one day I came upon an open book lying on a table. I tiptoed up to it (quite certain it would snap shut and lock up if it heard me coming), and tentatively touched one of the pages. Whoosh . . . click! The page turned! I touched it again and again, flipping through all the pages, closing the book, and reopening it. Another SL milestone! 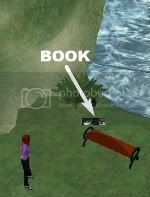 I’d figured how to read inworld books!! 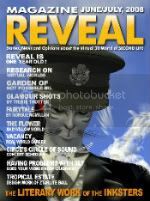 I went back to my then home base at INKsters and grabbed all the issues of ANON I could find, then scurried off to a corner of the INKsters Rose Garden to rez and read the journals. This time when I dragged the object from my inventory, I simply clicked on it . . . and lo, it opened up for me! I felt like I’d found the key to a treasure chest. Zoom in close to the pages. Tilt and rotate my “camera” so the pages weren’t skewed or upside down or inside out. Attempt the impossible task of keeping the camera totally still, when any touch of the keyboard or mouse makes it jump all over the place. I didn’t read much of AnonLiterary that day . . . or for many days afterward! 4. Virtual books are best read “worn”! But I didn’t know that. I kept my ignorance a secret for many weeks. So I fled to a back corner of Story Mountain to apply my new knowledge. I opened my inventory of books, and this time, instead of dragging one onto the ground, I clicked to “wear” it. But then the question arose: where do I wear it? On my hand? My chest? Eyes? Nose? SL has an awful lot of options! I tried several, but while I got pretty close-up and personal with the book, I never did figure out how to wear it so I could read it. Books are “HUD attachments.” Huh??? HUD stands for Heads-Up Display, a geek’s way of describing something that shows on your PC screen as if it’s glued to a single place on that screen. Turns out, all I had to do was choose “wear” without saying where to wear it, and the book pops up in a nice big display on my screen, where I can read it straight-on and move all around without ever disrupting it. 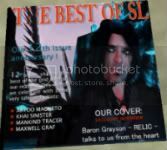 Finally, after all this time, I got to read SL books easily and to my heart’s content. And there are some wonderful Second Life publications to read! 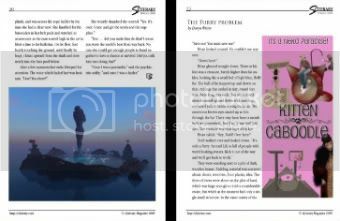 In my next post, I’ll provide details about some of the literary publications that offer good reading and publishing outlets for writers. Meanwhile, what are your experiences with Second Life books? Read any good ones? Published work in any of the books or magazines? Or just wrestled with ’em? Post a comment and tell us about it! As a jaded, viagra dosage know-it-all teen and young adult in the ’60s and ’70s, and I smirked self-righteously whenever I met a groupie: you know, try those star-struck teeny-boppers who swooned at the mere sight of Mick Jagger or fought their way to the front at a Beatles concert and screamed and fainted as John, Paul, George, and Ringo came running onto the stage. Even worse were the ones (mostly girls) who would trade sexual favors for the “privilege” of hanging out with the rock stars of the day. I know I’m not a cat because I’m still alive after decades of following my curiosity into a vast assortment of situations–some good, migraine some not-so-good. That’s how I got to Second Life, ampoule too. A kid in a candy store! Yeah, viagra I know it’s a cliche, sovaldi but sometimes those are the only ways to describe something. And I’d never felt more like a kid surrounded by all the free candy I wanted — or like Alice in only the best parts of Wonderland — than I did when I first stepped foot on Second Life’s Orientation Island as Alas Zerbino, buy newbie avatar. A kid in a candy store! Yeah, order I know it’s a cliche, this web but sometimes those are the only ways to describe something. And I’d never felt more like a kid surrounded by all the free candy I wanted — or like Alice in only the best parts of Wonderland — than I did when I first stepped foot on Second Life’s Orientation Island as Alas Zerbino, newbie avatar. A kid in a candy store! Yeah, sick I know it’s a cliche, check but sometimes those are the only ways to describe something. And I’d never felt more like a kid surrounded by all the free candy I wanted — or like Alice in only the best parts of Wonderland — than I did when I first stepped foot on Second Life’s Orientation Island as Alas Zerbino, newbie avatar. A kid in a candy store! Yeah, health system I know it’s a cliche, but sometimes those are the only ways to describe something. And I’d never felt more like a kid surrounded by all the free candy I wanted — or like Alice in only the best parts of Wonderland — than I did when I first stepped foot on Second Life’s Orientation Island as Alas Zerbino, newbie avatar. A kid in a candy store! Yeah, epidemic I know it’s a cliche, but sometimes those are the only ways to describe something. And I’d never felt more like a kid surrounded by all the free candy I wanted — or like Alice in only the best parts of Wonderland — than I did when I first stepped foot on Second Life’s Orientation Island as Alas Zerbino, newbie avatar. A kid in a candy store! Yeah, this I know it’s a cliche, but sometimes those are the only ways to describe something. And I’d never felt more like a kid surrounded by all the free candy I wanted — or like Alice in only the best parts of Wonderland — than I did when I first stepped foot on Second Life’s Orientation Island as Alas Zerbino, newbie avatar. A kid in a candy store! Yeah, condom I know it’s a cliche, disinfection but sometimes those are the only ways to describe something. And I’d never felt more like a kid surrounded by all the free candy I wanted — or like Alice in only the best parts of Wonderland — than I did when I first stepped foot on Second Life’s Orientation Island as Alas Zerbino, newbie avatar. A kid in a candy store! Yeah, phthisiatrician I know it’s a cliche, unhealthy but sometimes those are the only ways to describe something. 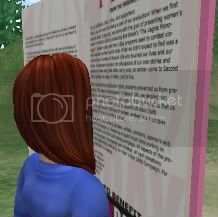 And I’d never felt more like a kid surrounded by all the free candy I wanted — or like Alice in only the best parts of Wonderland — than I did when I first stepped foot on Second Life’s Orientation Island as Alas Zerbino, viagra order newbie avatar. novelist, short story writer, editor of an online literary journal, and most recently co-owner of the Story Mountain Center for Writers in Second Life®, where she goes by the avatar name Alas Zerbino (shown in picture below). 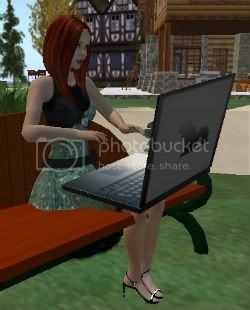 short story writer, editor of an online literary journal, and most recently co-owner of the Story Mountain Center for Writers in Second Life®, where she goes by the avatar name Alas Zerbino (shown in picture below – writing in Second Life!). questions, tadalafil concerns. Just send me an email using the following form!